The MATE ROV Competition uses remotely operated vehicles (a.k.a. underwater robots) to inspire and challenge students to learn and creatively apply science, technology, engineering and math (STEM) to solve real-world problems and strengthen their critical thinking, collaboration, entrepreneurship, and innovation. 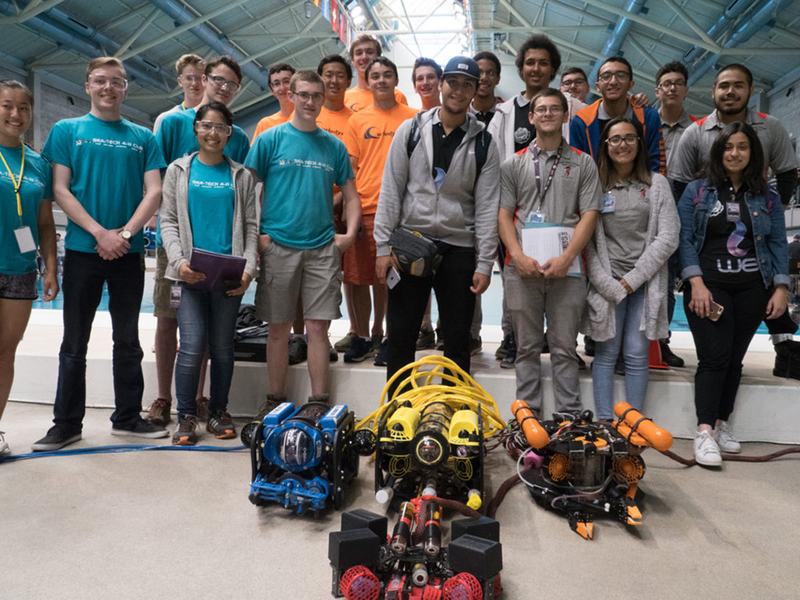 The MATE ROV Competition challenges students in grades 4-16 from across the U.S. and around the world to engineer ROVs to complete a set of mission tasks based on real-world, workplace scenarios. The competition emphasizes and inspires a mindset of entrepreneurship and innovation by requiring students to transform their teams into “start-up” companies that respond to an RFP. In addition to their robots, the student teams also prepare technical reports, create a marketing (poster) display, and deliver engineering presentations. Established with funding from the National Science Foundation at Monterey Peninsula College in 1997, the Marine Advanced Technology Education (MATE) Center worked in partnership with the Marine Technology Society’s ROV Committee to create the competition. The first event kicked off in 2001. Seventeen years later, MATE Inspiration for Innovation (MATE II) incorporated in the state of California as a 501(c)3 nonprofit organization. MATE II was founded to support and sustain ongoing education activities initiated at the MATE Center. These activities include the MATE ROV Competition.